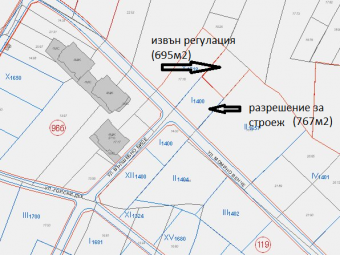 Description: Brain Trust is pleased to offer for sale two plots of land with a total area of 1462 square meters. They are located just next to complex Tsarsko Selo. Layout: One of the plots is regulated and has an area of 767 square meters with permission for construction of a building with an overground area of 850 square meters. 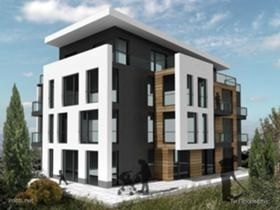 The second plot is not in regulation and has an area of 695 square meters. The two plots are one next to the other and can easily be united. The construction permission is valid until 21-st July 2020, with the option of renewal if necessary. There is an open construction site and all fees are paid.